Want to prevent your Xbox Live account from being hacked? This is the best way. Microsoft, this week, unveiled two-factor authentication. Major Nelson already has a guide for setting up two factor authentication on your Xbox 360. Two factor authentication requires another device, like a mobile phone, which will provide a password to you so that when your Xbox 360 prompts for this extra password, you check your device for the randomly generated password and enter it. 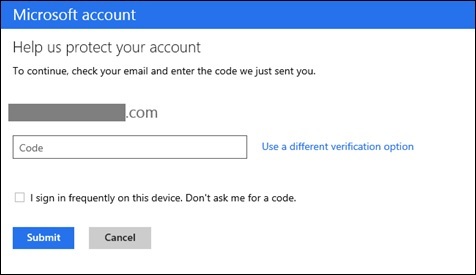 Microsoft TechNet has an article detailing how two-factor authentication works with your Microsoft account (formerly known as your LiveID). Xbox 360 tray stuck closed or open? Troubleshoot it here! Lots of people have said they have run in to problems with their Xbox 360 tray being stuck closed. Some have reported it not closing all the way, or being stuck open. Regardless of your problems, Microsoft has put together a handy troubleshooting guide! 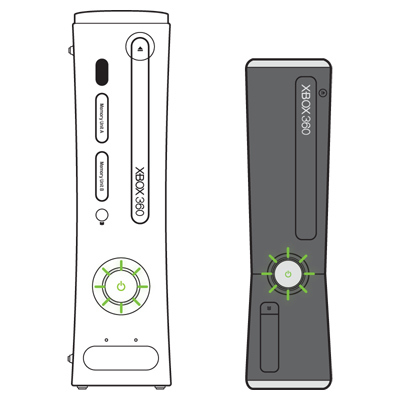 The guide covers multiple models of Xbox 360 and lots of disc drive problems, including unreadable discs, stuck trays, and disc drive errors. Even after you find a solution to your problem, the troubleshooting guide offers a post-mortem and a few additional tips for making those problems less likely in the future! It’s a very useful guide, straight from the folks at Xbox division within Microsoft, so give it a try and see if it can help you! Posted in Xbox Tip of the WeekLeave a Comment on Xbox 360 tray stuck closed or open? Troubleshoot it here! Does the Xbox 360 use DRM? Some people hate DRM and they think it’s always in the way. Yes, there are some terrible implementations of DRM, but I’ve found Microsoft’s implementation to work pretty well over the years. But if you have questions about how it works, Microsoft has a nice article about it which answers several questions. Foremost of them? What is DRM? The article will even cover transferring your data to a new console. Posted in Xbox Tip of the WeekLeave a Comment on Does the Xbox 360 use DRM? The Xbox tip of the Week is usually reserved for something you can use over and over again, but it’s not every day you’re in the midst of one sale and very close to another. The 2013 Spring Sale is going on for another 24 hours or less, and the April 1st, 2013 sale is about to launch. See if there are any deals that you can’t live without! With Xbox Live Gold, is Netflix Free? UPDATE: As part of a recent (June 2014) delivering more choices for fans announcement, Microsoft stated that Xbox 360 and Xbox One users will no longer require Xbox Live Gold memberships to use Netflix. Originally, you were required to pay for Xbox Live Gold and have a Netflix subscription (this was not included with your Gold subscription). Now all you need is a Netflix subscription. If you already have a Gold subscription for the other benefits, you can keep it up – but if you are considering letting it expire, at least you can continue to use Netflix on your TV through your Xbox 360 and Xbox One. The update change is likely to begin around June 9th, 2014. June is all that has been confirmed, but there is a rumored dashboard update for around June 9th that will likely “unlock” these features. From Microsoft: “Coming in June, anyone with an Xbox will be able to access popular entertainment experiences – whether or not you have an Xbox Live Gold membership. This includes great gaming apps like Machinima, Twitch and Upload, popular video services like Netflix, Univision Deportes, GoPro, Red Bull TV and HBO GO, sports experiences like the NFL app for Xbox One, MLB.TV, NBA Game Time, NHL Game Center and more.” If you recently signed up for Xbox Live, specifically to use apps like these, you can read more details about the changes and even request a refund of recently purchased Xbox Live memberships after the update is released in June. You may have recently purchased an Xbox 360 to use it as a media player, more so than for gaming. NPD numbers show that 360’s are the top selling console for nearly two straight years, now. But as you’re trying to get this all set up, you learn that Microsoft requires you to buy Xbox Live Gold membership packages, in order to use Netflix. Although I have explained that Gold Status has its benefits, I did not answer a popular question: is Netflix Free with Xbox Live? Unfortunately, the answer is no. Microsoft isn’t double dipping – Netflix is charging their fee, and Microsoft is charging theirs. As seen in the link above, there are other reasons to “Go Gold.” But people who plan to just use the Xbox as a glorified Netflix box, may want to consider the PS3, which currently has no fee. The Wii and Wii U also can access Netflix (though the Wii cannot do it in Hi-Def, and the Wii-Slim can’t access the internet at all, from what I understand). Although those platforms do not currently charge any of their own fees, I am a firm believer that you get what you pay for. I trust Microsoft the most, and since I am taking advantages of the other services Gold level membership offers, I don’t mind. But, a rude surprise for some, is that most, if not all, of the apps available on the Xbox 360 require you to maintain your Gold status membership. The good news is, you can always try to find a discounted subscription card . Posted in Xbox Tip of the WeekLeave a Comment on With Xbox Live Gold, is Netflix Free? Some users are still getting used to having Apps on their Xbox 360. And occasionally you might run in to a bug or two. 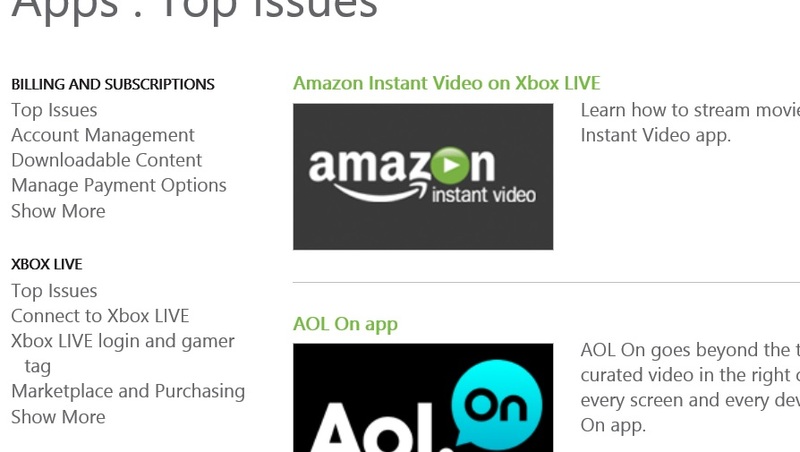 Microsoft has compiled a list of Top Issues and FAQ’s for apps on the Xbox 360. For instance, you can figure out what to do when you select the Netflix icon and nothing happens. You can get step-by-step instructions for deleting and reinstalling the app. If you have a large download to complete on your Xbox 360, did you know that you can do this while saving electricity and saving the wear on your console? A feature that was added to the dashboard around the time the “NXE” launched allows you to start a download from Xbox Live, then power off the console without aborting your download. Just start any download, like demo, or some large DLC. By default, the console will download your content in the background, while you continue to browse the dashboard, or even while playing a local / single player game on your 360. But let’s you just started the downlod and you want t leve for a while? Go ahead and shut down your Xbox 360, as you normally would (from the dashboard, the guide button, or even by pressing the power button on the console). Your console will cut power to the GPU and other nonessential hardware, then it will complete the download and power off when finished. Use the right bumper to navigate to the Settings menu. Ensure the current setting on the right shows it is on, or else slect Enable. For questions about background download behavior, check out Microsoft’ support articke on why the power light flahes green on the 360 console. I miss the simpler times, when the Nintendo was the Nintendo, and the Sega Genesis was just the Sega Genesis. Sure, the consoles were revised, but at least you didn’t have to worry about different specs. I was recently asked by someone if they should buy the 4GB or the 250GB Xbox 360. After thinking for a minute, I found it a surprisingly easy question to answer. The question comes down to money. Not how much do you have, but how much do plan on spending long term? If you already have a collection of videos from the Zune Marketplace that perhaps you bought a while ago, maybe you’ll want the 250GB drive. If you plan to download your games from Xbox Live, rather than buying them at Gamestop or Target, then you’ll want the 250GB drive. But for most people the 4GB drive will suffice. 4GB is quite a small drive, but if you don’t plan on downloading games or movies, you’ll be fine. A 4GB Xbox 360 is still capable of streaming from services like YouTube and Netflix. To use those apps, you must download them to the hard drive, but 4GB is ample storage. You will also have room for your title updates as game patches are released. 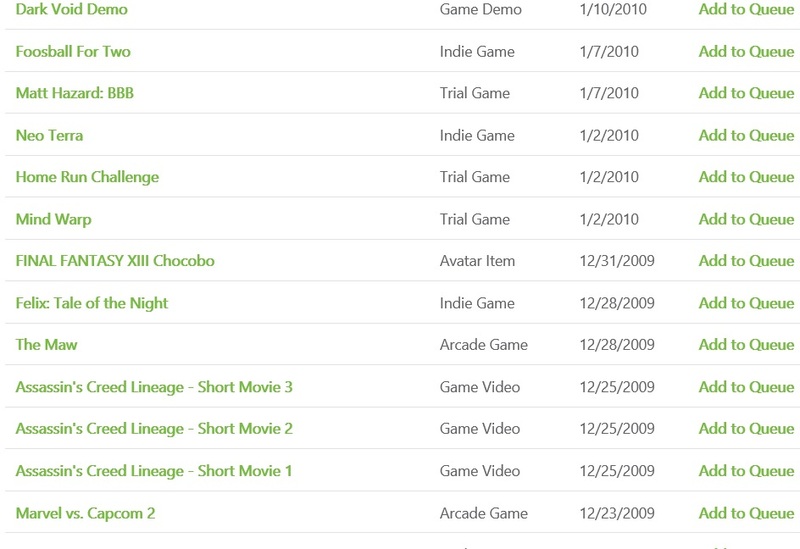 You won’t be able to download very many Xbox Live Arcade games, but at $5-$20 each, it is just as I mentioned above: how much do you want to spend long term? If you ever do change your mind? You can upgrade to an even bigger 320GB drive for the same price as it would cost to buy the $250! I suspect the price drop to be permanent, although it is possible that the drive may return to it’s $130 price tag. Still, an upgrade later is always an option if you decide that 4GB is not enough for you, once you get a taste of all the offerings on Xbox Live! When you have multiple computers at home and you want to stream content from one That you have used recently, it can be difficult to select which computer your Xbox 360 is streaming from. Here is a quick and easy way to select your specific computer for streaming content to your 360. Select “Settings” to the far right of the dashboard. Now, choose the connection test. In order to begin the test, you will have to select the computer you wish to connect. Once you do this will set the connection so that you can then browse the PC’s media library from your Xbox 360.